Samus Returns is a very purposeful subtitle. Yes, it’s a play on Return of Samus, the subtitle for the Game Boy’s Metroid II, of which Samus Returns is a remake of – sort of. 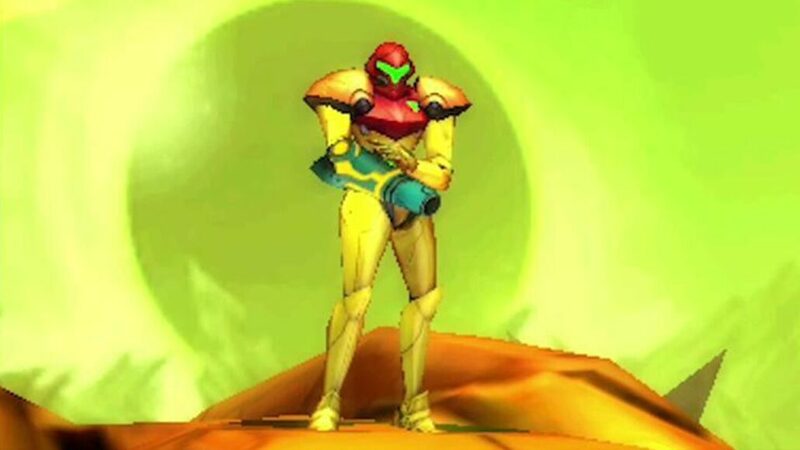 But more than that, Samus Returns is a bold statement of intent. Fans have been clamoring for a new “proper” Metroid installment for too long, and Samus Returns is Nintendo’s message to fans that they’re listening. Of course, actions speak much louder than words, and the subtitle could’ve read “Super Metroid Prime Fusion 4” and it would’ve been meaningless without a game worth its salt backing it up. But that’s not a problem for MercurySteam, who stepped up to a plate and delivered a game that history will see as a proper Metroid game, not merely a remake. Samus is, of course, sent out by herself to investigate a crisis as decreed by the Intergalactic Council, and it doesn’t take her long to find a whole bunch of mutated Metroids below a planet’s surface. 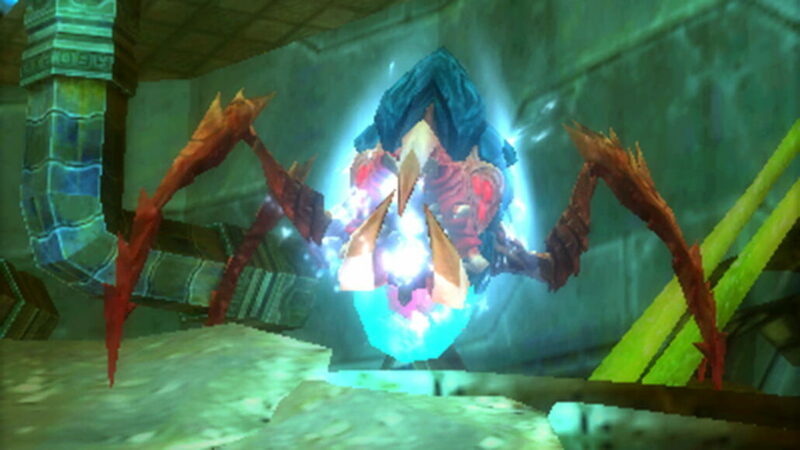 The floating face-huggers take the form of bosses and mini-bosses strewn throughout the labyrinthine interior of the planet, and Samus must search low and high while acquiring and adapting to a range of powers to make her way through and erase all traces of Metroid DNA. If that sounds familiar, then that’s probably because it’s pretty much the same as every Metroid game – not that there’s anything wrong with that, because the story is pretty much only important in the intro to the game. Past that point, Metroid: Samus Returns is about Samus shooting Metroids and finding a path in a baffling 2D maze – yep, this is a Metroidvania game, through and through. Traversal will be pretty familiar to Metroid fans too – Spider Ball to crawl on walls and ceilings, Wall Jumps, Charge Beam, hidden tunnels, destructible walls and floors, etc. And of course, once you find a dead end, you make a mental (or physical) note of it and be sure to return later once you’ve come equipped. 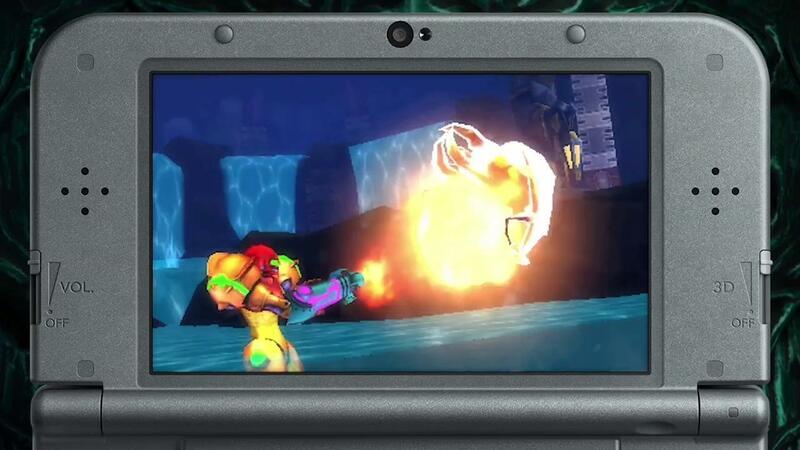 The powers Samus gains to explore are familiar, but she’s got new moves too. Aeion Abilities expand Samus’ repertoire and allow her to search environments for destructible or hidden pathways, or even give herself a shield to fend off against enemy attacks. These abilities require energy to use but are best used often, as they highlight many things you might miss and can make fights much easier. Samus can also cling onto ledges now and shoot in a full 360 degrees with the Circle Pad – couple that with her brand new melee counter and the moment-to-moment gameplay is far more dynamic than the original could’ve ever hoped. In fact, there’s not much of the original left – in the best possible way. Yes the premise of killing 40 Metroids is still identical as is what story there is, but aside from that, Metroid: Samus Returns feels like an entirely new game. The visual style, gameplay, area layouts, pretty much everything feels fresh and unique in the series. But not everything is perfect. All these new abilities can make controlling the game ever so slightly awkward. The beautiful simplicity of 2D Metroid games has been eschewed slightly. You must hold L to have a free 360 aim, and you must hold R to ready your missiles, and you must tap Y to fire, but be ready for country with X – combine those basic controls with jumps and swapping between firing types on the touch screen and in the more claustrophobic battles, things can get frustrating. It’s a far cry from the NES and Game Boy games. But it’s very telling that my main gripe is frustration on the controls that can eventually be acclimatized to. The game is beautiful, the music is suitably haunting and atmospheric, the 3DS’ stereoscopic 3D is put to surprisingly good use for those who still use it and it feels so, so good to uncover all of those hidden areas of the map. Metroid: Samus Returns isn’t even a particularly long game – you’re pretty much guaranteed to complete your first playthrough in less than 10 hours, and each successive playthrough will be even shorter than that. That’s because, like older Metroid games, Samus Returns wants you to play it again and again, faster and better each time – with Samus rewarding you at the end with a slightly different end screen, just like her feminine reveal in the NES original. Review code provided by the publisher. You can buy it on Amazon. Metroid: Samus Returns is another wonderful 3DS game that gives owners yet another reason to pick up their 3DS consoles, even with the Switch’s growing library. It looks great, plays great, and is as faithful to older Metroid games as you could ask for. 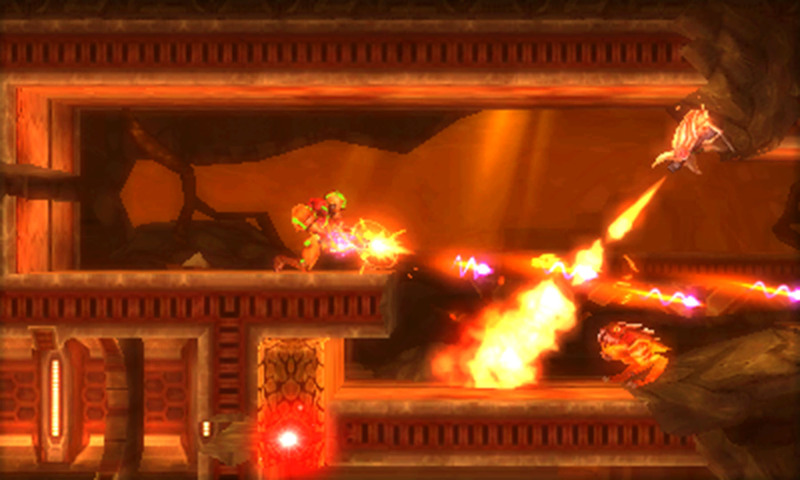 All we can hope for now is that this is just the beginning of the 2D Metroid renaissance.